Oncoplastic Breast Surgery comprises of new surgical approach that combines the principles of cancer surgery and plastic surgery, with the aim of optimizing cancer cure while maintaining the shape and symmetry of the breast. Oncoplastic surgery has extended the scope of breast-conserving surgery (BCS), reducing both mastectomy (breast removal) and re-surgeries rates, while avoiding breast deformities. 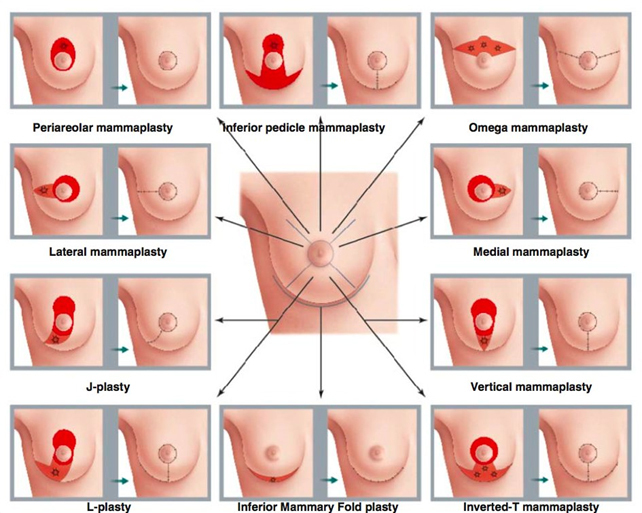 Use of oncoplastic techniques has radically changed and expanded the boundaries of breast conservation surgeries and is now the preferred method of breast conservation worldwide. It can be broadly classified into Volume displacement and Volume replacement techniques. Volume Displacement– oncoplastic reconstruction for breast conservation from the mobilization of breast tissue and reshaping. Volume Replacement– involves more advanced mammoplasty techniques that allow resection of up to 50% of the breast volume and replacing it with autologous flaps. Even if a patient requires or chooses mastectomy, she can undergo immediate breast reconstruction by DIEP free flap from abdomen or implant-based reconstruction.